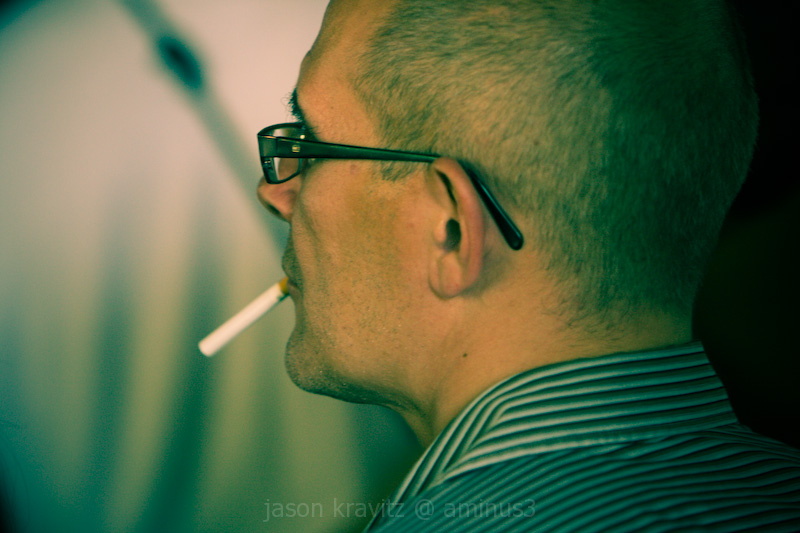 Jason Kravitz (Brussels, Belgium) on 30 September 2008 in People & Portrait. Very strong portrait. The attitude from the subject is strong. The lighting is unusual but perfect. Bravo! Interesting portrait in a strange light. Good composition. Nice color mood.F/2.8 works very well here! Cool limelight effect, and an excellent candid shot.